Wicked? 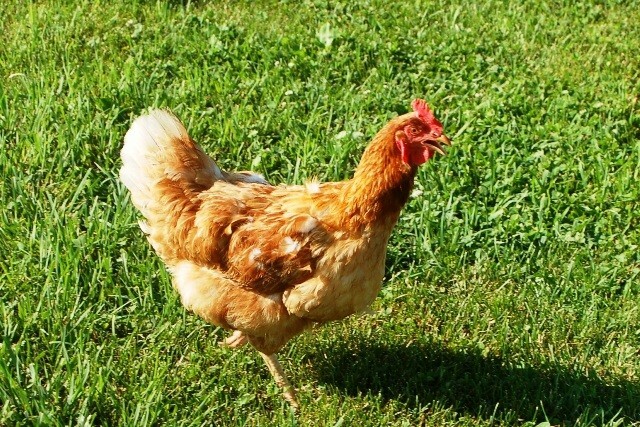 Ask Ecco about the great chicken chase! Pomeroy surprised his Daddy with a Wine Dog outing to a new venue for Father's Day (it had been a while). Russell (l) and Randall (r) pouring for customers. Now in its second full season, Wicked Oak Farms and Vineyard puts the farm in farm winery. 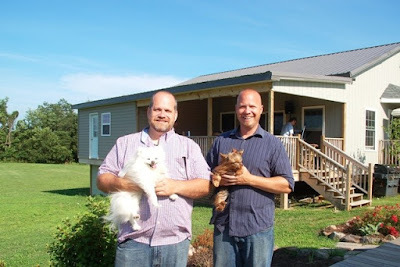 Brothers Randall and Russell Anderson saw the land perched high in the Blue Ridge just before the West Virginia border and fell in love with it. Dogs welcome - on a leash, please! 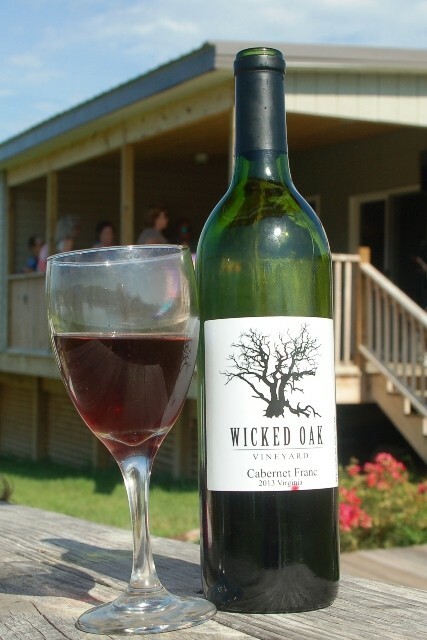 Wicked Oak started with chickens, corn and beef - "a winery was not on the radar," Randall says. But then he heard about the need for grapes to support Virginia's rapidly expanding wine industry and planted Norton, Virginia's native vine. It wasn't long before they were bitten by the wine bug. 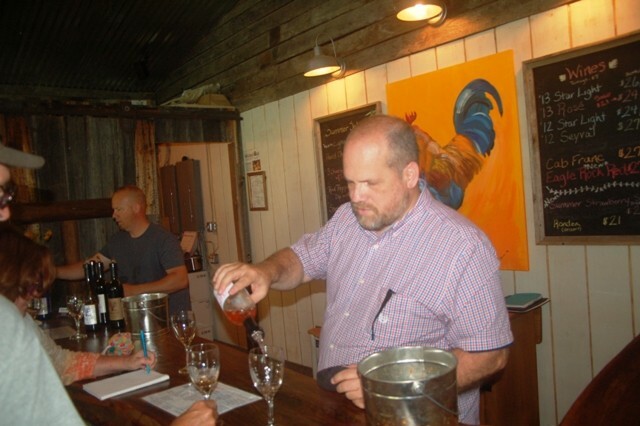 Supplementing the farm's crop with grapes from the Shenandoah Valley and Charlottesville regions, the Anderson boys turned to established winemaker, Justin Bogaty of Veramar Vineyards to make the wine. Lining up for wine at Wicked Oak. 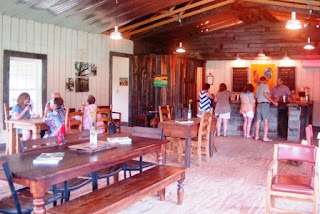 The result is solid lineup being poured in a simple tasting room, tastefully decorated by the wives and dominated by sturdy wood furnishings. The whites include the Starlight (a Riesling/Vidal blend) and the Seyval (Paws up from Pomeroy), both with enough residual sugar to make them refreshing on a hot summer day. The pale Rose' was equally refreshing and earned Ecco's enthusiastic paws up when blended with strawberries and sweet tea to produce sangria. Both pups raised their paws when the Vidal reappeared as a dessert wine (Rondea), balanced enough that the 9 percent residual sugar does not overpower. A unique white Port-style wine is soon to be released, completing the offerings. The reds are dry, and include a blend named Eagle Rock for the rock ledge on the property and a classic Virginia Cabernet Franc. 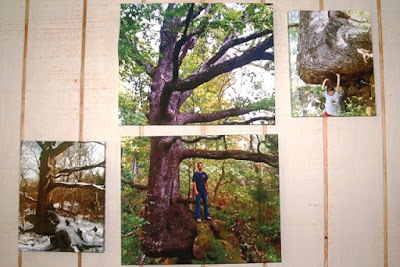 While on the subject of names, Randall and his youngest son, Tucker, discovered a massive 300-year-old tree growing out of a rock cropping on the far corner of the property. The boy exclaimed, "Dad, that's one wicked oak!" and the name stuck. 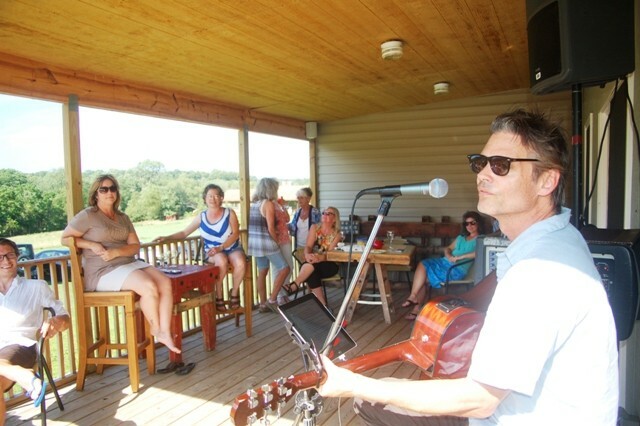 Local favorite Robbie Limon performs on the patio. Randall, a retired minister, helps guests renew vows. even Mongolian yurts that can be rented for overnight stays. 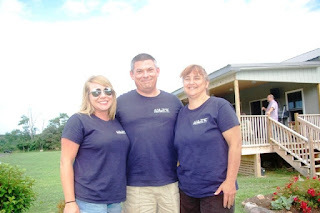 Scott Madigan campaigns for Frederick Co. Sheriff. 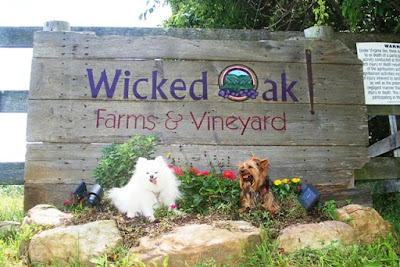 On the day of the Wine Dogs' visit, a local political candidate set up shop outside to greet people heading into the tasting room. 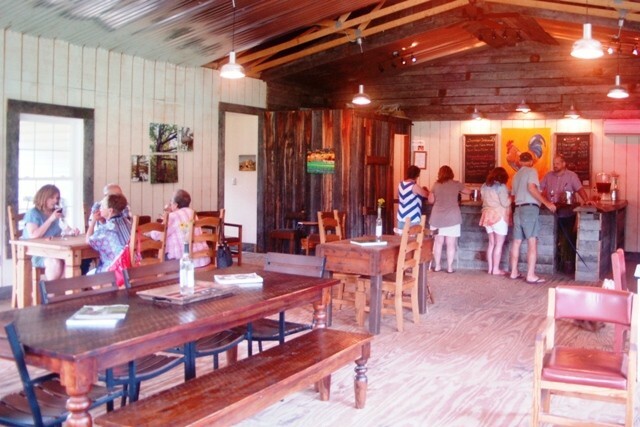 It's all part of the wicked good hospitality at this new Virginia gem. Paws up, Randall and Russell!